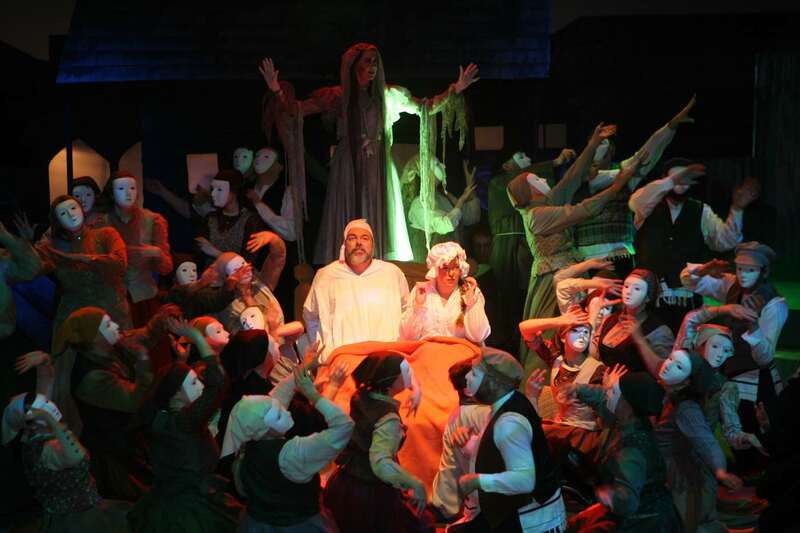 Unlike the early days, the Society now had an unwritten rule that it would change the Director after every production, but this was ignored for Fiddler on the Roof and David Tatnall was asked to continue – Martin Paterson rejoined him as MD to create a very experienced and enthusiastic directing team. 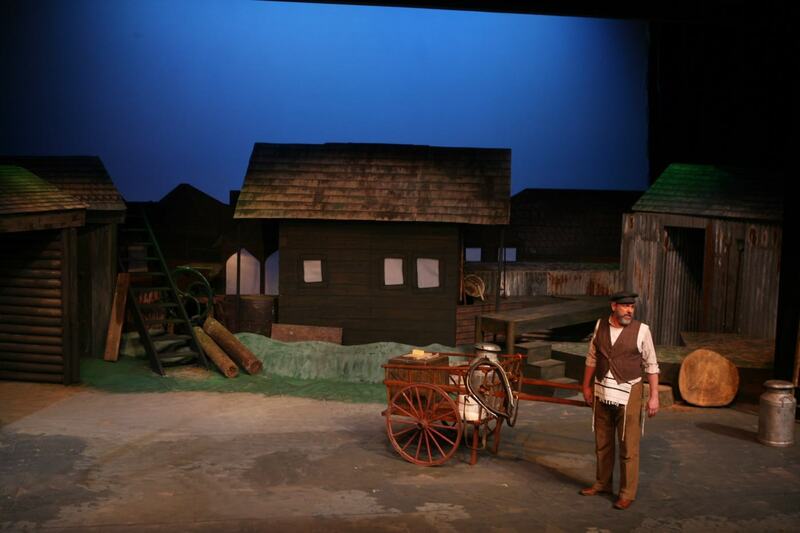 There had been hopes of taking it to the Mayflower but the quote of £58000 to hire the theatre for a summer slot and the possibility of a professional tour of the show dampened the enthusiasm. 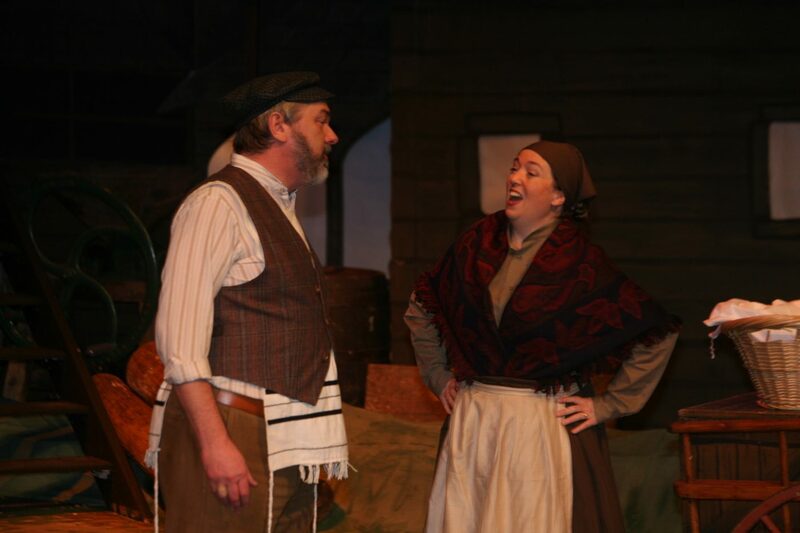 There were two particularly memorable aspects to this Fiddler. 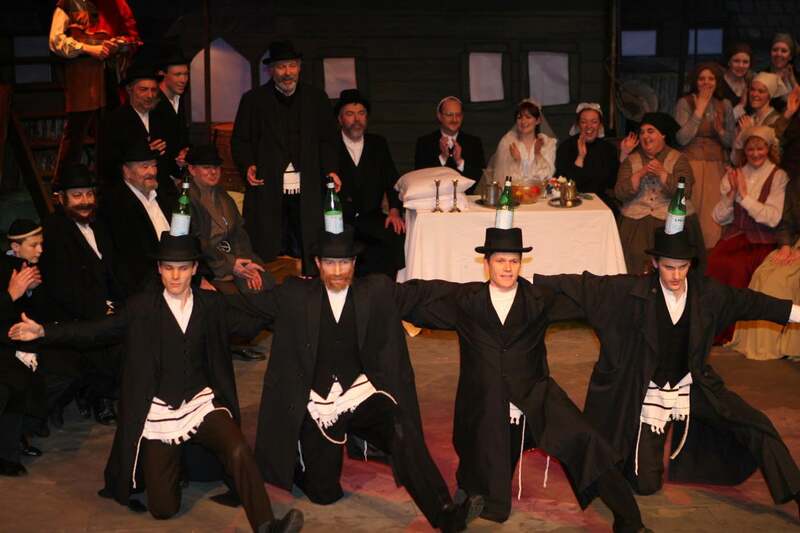 The company was a very large one (57 performers including seven DYT members to augment the sons and daughters plus a violinist) and when Tevye opened a door during the opening number, Tradition, they slowly entered in one long, seemingly never ending crocodile, bobbing to the music until they gradually filled the entire stage. The second was the set itself. 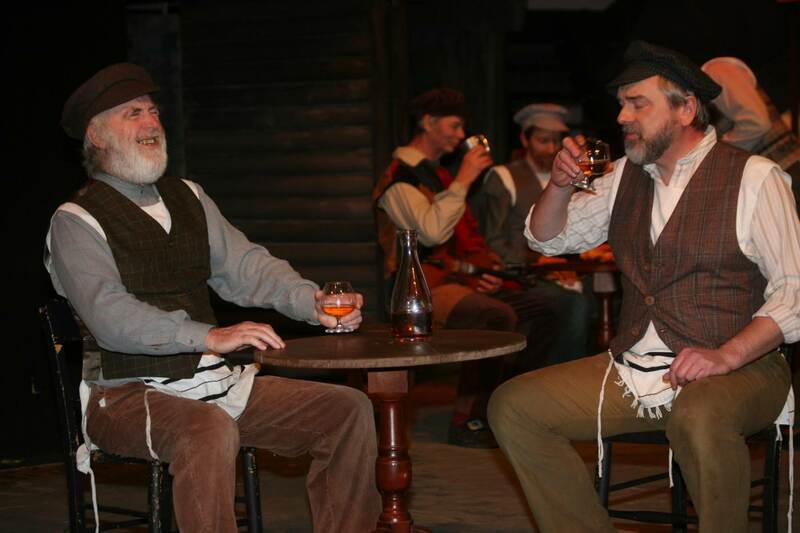 Phil Moody had excelled himself in creating a detailed, atmospheric and believable representation of the village of Anatevka. Principal auditions were not just ‘open’, they were ‘freestyle’ with candidates encouraged to perform anything of their choice from the show. It was an interesting experiment but not necessarily helpful to the panel who did not always end up comparing like with like. The Rabbi proved difficult to cast until it was decided that it might be a good time for Philip de Grouchy to make his SOS comeback. One major concern was the position of the band as, not only were they on stage, but they were also behind the back drop and out of sight of the singers. However, apart from one rendition of Too Life when it took a while for everyone to ‘get together’ the company coped without any other significant difficulties. 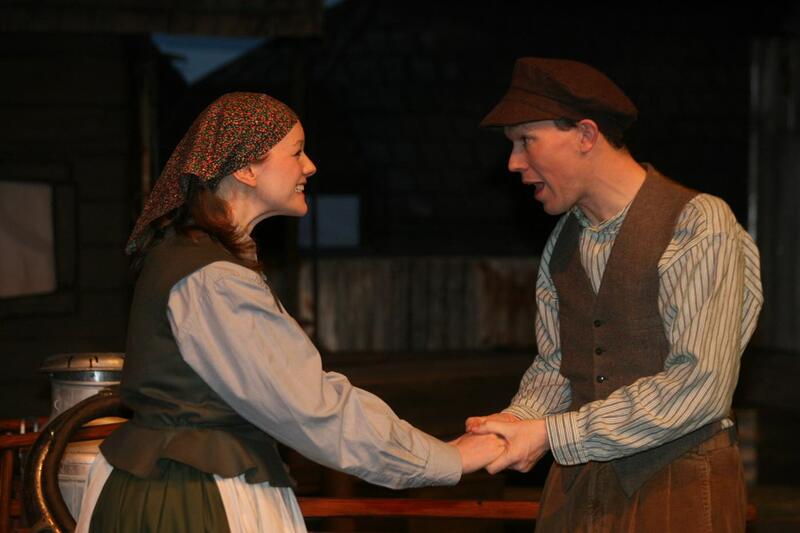 The addition of the young men from DYT also meant that the more athletic dancing scenes were in safe hands, especially as Tom Vickers could actually dance in a true Cossack style! 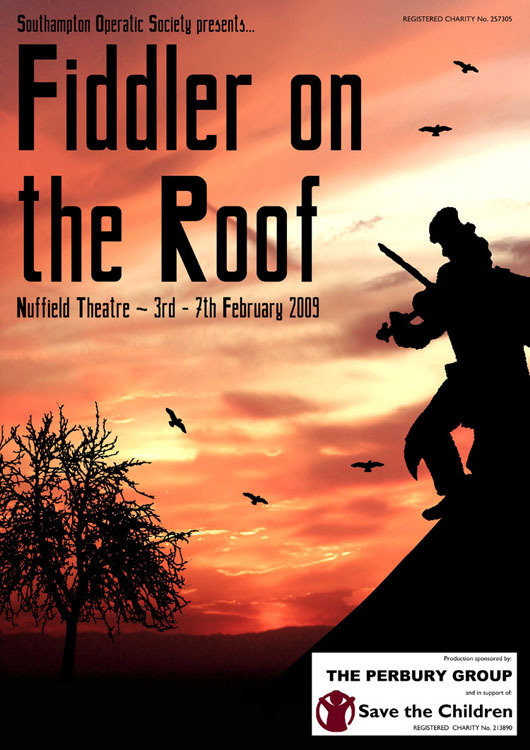 Although it had snowed during the weekend prior to opening night, tickets had sold well and Fiddler on the Roof made an impressive profit of £4120.